A few months ago I received a really nifty little product that I've yet to review, but that doesn't mean it doesn't deserve attention. 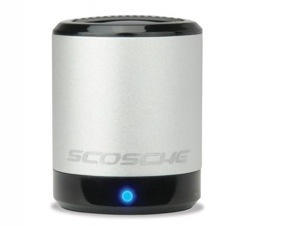 The Scosche BoomCan is a small can shaped speaker that plugs into any of your devices via the audio jack and has amazing sound (and volume) given its size. 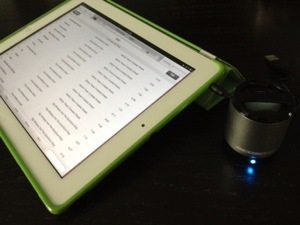 Considering I often use my iPad to watch shows or movies, sometimes with others, I needed a way to amplify the volume emanating from the iPad which is somewhat weak, especially in a group setting. The BoomCan has two volume settings, and the audio is crisp, clear, and loud. Exactly what I need from this little device. Prices online range from $15 – $25. Well worth it.